● The company periodically offers discounts of up to 75% off on selected services. These discounts usually apply for only a fixed period of time, after the expiration of which the then-current term fee will be charged regularly. They are usually limited to a single redemption by new subscribers, are non-transferable, cannot be used in conjunction with other offers, and may be discontinued or modified without prior notice. ● Yahoo! Web Hosting offers a 30-day satisfaction guarantee: if you are unsatisfied with your subscription for any reason, you may cancel the same within 30 days from the date of initial order. Upon cancellation, you will be issued a full refund, less a $7 domain registration fee. Subscriptions which pay less than $7 per year are not eligible for this offer. ● Yahoo! coupons tend to offer discounts of up to 50% off on selected services. Other coupons may also include a number of freebies and free setup deals. Yahoo! Small Business offers a range of solutions, all of which are designed to help small businesses from all walks of life succeed. Build your website through Yahoo Web Hosting, sell your products through Yahoo Merchant Solutions, or use Yahoo Localworks to take advantage of a variety of local business marketing strategies. Yahoo Commerce Central is also available, offering real-time insights, a variety of enhancements, and tools/apps that can help you to generate leads and drive up successful sales. Yahoo Small Business Advisor can give you further information and insights on how to take your small business ambitions to the next step. 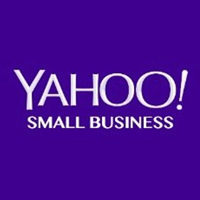 Yahoo Small Business will soon become Luminate from Aabaco Small Business. For most up to date offers check out Yahoo Small Business on Facebook and Twitter or contact Yahoo Small Business Support for any questions.